Our product range includes a wide range of paper pallet, cardboard protedge pallet, protedge pallet and paper protedge pallet. Impakt Paper Pallets is designed as innovation system with flexible construction, high strength characteristics made of 100% Kraft paper with water-resistant coating doesn't need fumigation for export. Impakt pallets are lightweight than wooden pallets by 35%. Impakt paper pallets fulfill all requirements of today's cleanness needs as Compare to wooden pallets and free from the commonly fungus common associates with moist wooden pallets. Impakt Paper pallets are in different sizes as per market demand for EG 800mm x 800mm to 1000mm x 1200mm in 2 and 4 way entry solutions. Mainly used in International & Domestic market by Air, Sea, Rail and Land. 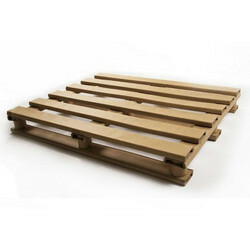 Low shipping cost compare to wooden pallets. Available in water resistance configurations. Not required fumigation for export purpose. Our pallets are Nail & Splinters free. Smooth planks no injuries due to splinters, sharp fragments, staples or nails. Meet International Requirement on trade ispm15 free as approved by crop protection and plant quarantine division. Even our green pallet does not need heat treatment. We are pest free and non toxic. Meets the ISPM 15 standard (International Standards for Phytosanitary Measures No. 15. Green Pallet is made of compressed paper. Paper is much lighter than wood and plastic. In terms of handling and load lifting our, Green Pallet is easier to handle than wood and plastic. Very light and manageable by the construction and material choice From 2 up to 14 kg. Competitive prices compared with wood and plastic Cost saving lower transport costs due to less weight (air cargo). We are a well-renowned organization in the industry to provide our patrons with the best quality array of Cardboard Protedge Pallet. Impakt Paper Pallets is designed as innovation system with flexible construction, high strength characteristics made of 100% Kraft paper with water-resistant coating doesn't need fumigation for export. 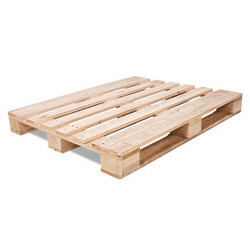 Impakt pallets are lightweight than wooden pallets by 35%. Impakt paper pallets fulfill all requirements of today's cleanness needs as Compare to wooden pallets and free from the are fungus which is commonly associated with moist wooden pallets. Impakt Paper pallets are in different sizes as per market demand for EG 800mm x 800mm to 1000mm x 1200mm in 2 and 4-way entry solutions. Mainly used in International & Domestic market by Air, Sea, Rail, and Land. 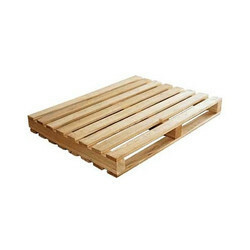 Low shipping cost compares to wooden pallets. Carrying the today's load of 100kg to 1500kg depend on the product cost. The cardboard pallet is completely build up as a classic wooden pallet. Completely unique in its kind and a revolution in the logistics world. We are remarkable enterprise, the instrument in offering superior quality Paper Protedge Pallet. Looking for Protedge Pallet ?